A tired and neglected pool area has been given a new lease on life with the inclusion of a vibrant greenwall. 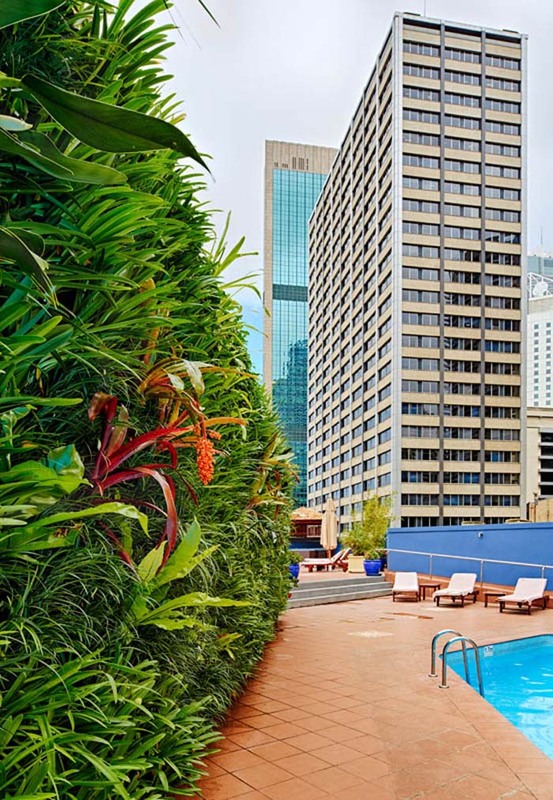 The pool surrounds at this Sydney 5-star hotel were looking tired after receiving little attention over a 20-year period. The abundance of hard surfaces made the space hot and dry – not exactly the ideal conditions for an area which is intended to provide relief and relaxation for weary travellers. 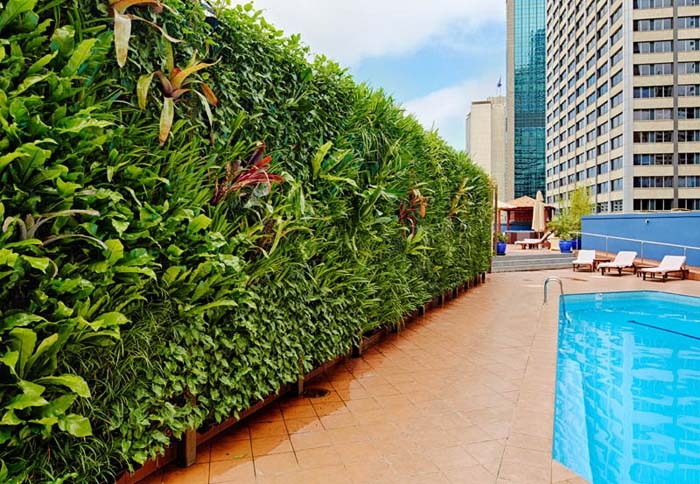 Greenwall Australia was brought in to design and install a vertical garden at the hotel, with a brief to soften the hard lines of the pool area and to cool the whole space, making it a far more inviting haven for hotel guests. 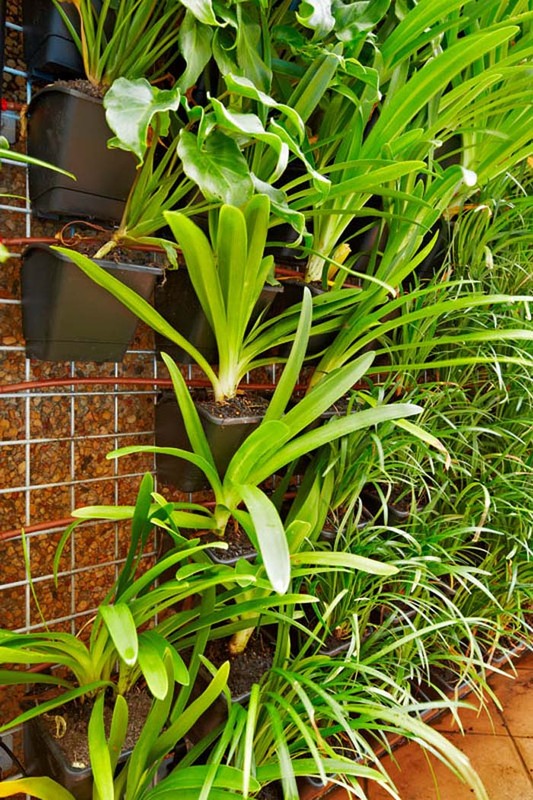 The VertiGro Pro greenwall was the product used by Edward Warburton and his team at Greenwall Australia, as it had the benefits of easy installation and maintenance. Galvanised weldmesh frames were bolted to the exisiting pebblecrete walls and the VertiGro Pro pots were then clipped into place. Then, all that was required was for the irrigation to be hooked up and the wall was alive and growing! Greenwalls are at the leading edge of contemporary architecture, enriching our living and working environments. Greenwalls are used widely to fulfil new social and environmental demands, creating lush surroundings and improving air quality – both indoors and out. Another benefit of greenwalls are that they deliver a solution to spatial challenges – they use minimal floor space yet provide large green space – making them perfect for a wide variety of applications, including hotel pool areas, commercial reception areas and apartment balconies. 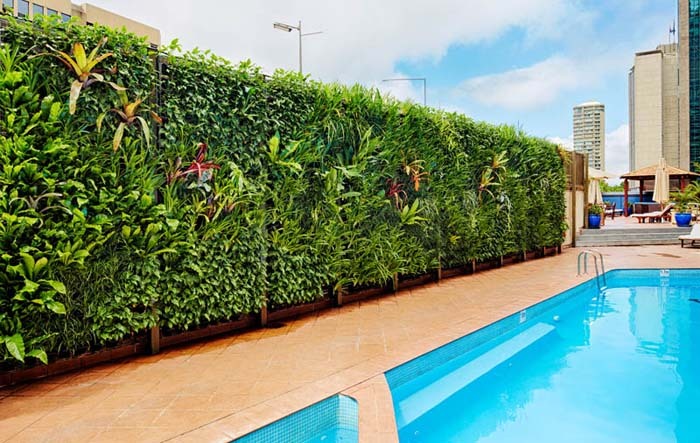 Greenwall Australia is a Sydney-based firm that designs, installs and maintains greenwalls. Established in 2005 by Edward Warburton after years of working in the more conventional landscaping field, the firm is focused on the demand for, and design opportunities created by, vertical gardens. Greenwall Australia is the exclusive Australian distributor of the Bin Fen Greenwall System – a modular, water-efficient, lightweight, durable, cost-effective and easy-to-maintain system – that produces stunning results and can incorporate an incredible diversity of plant species.